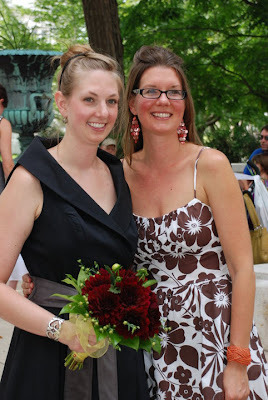 My amazing sister Molly got married this past weekend. 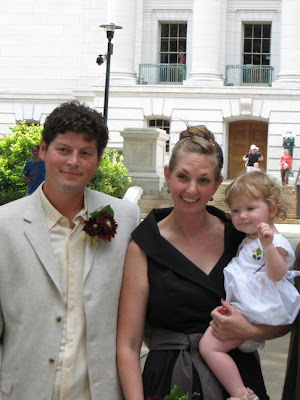 It was a beautiful, classy, graceful and elegant wedding... just like my sister. It is such an honor to be at the wedding of your sibling....especially your favorite sister (she is my only sister, so of course she is my favorite!). I felt as if my heart was going to burst right open with all of the love that I had for her and her husband on that day. Young love, it keeps everything so wonderfully fresh and delicious doesn't it? 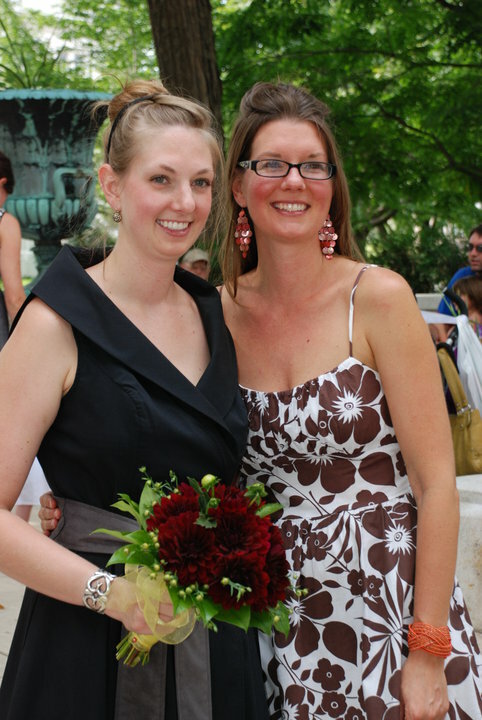 Of course my sister chose to get married down on the Capital Square, on a Saturday, in the rush hour of the Dane County Farmers' Market (one of my favorite places to be in Madison). It was lovely choice for a celebratory Summer day. Hot summer market, teaming with flowers and fruits. Happy people strolling, little children laughing and a wonderful gathering of family and friends blissing out on the wedding vibes of a very happy couple! Molly and Megan ♥♥ sistahs! My sisters wedding was a weekend long wedding extravaganza. There was the wedding proper with reception immediately following at a restaurant on the Capital Square and then a wonderful dessert reception/party at their home the following day. I ate and ate and ate lots of food, more good food and had the opportunity to make my first wedding cake! 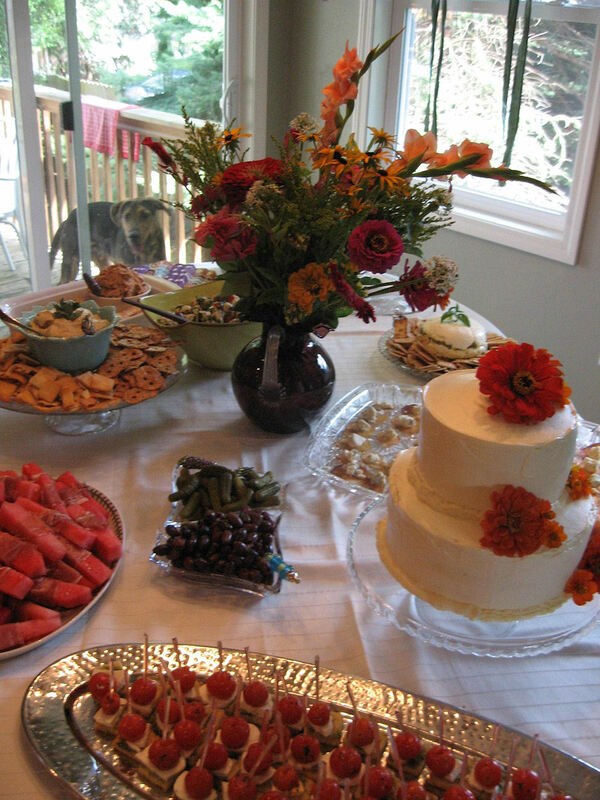 Gorgeous food spread... and my cake. Molly and and her husband Matt are both foodies, so it was not hard to decide what to make them. Make it taste good and they would eat it. My sister and I both love chocolate, chocolate ganache, chocolate and orange anything, chocolate mocha, coffee, cappuccinos, cream cheese frosting... you name it, we usually both love it. I decided upon a Chocolate Orange Cappuccino Cake with 7 lbs of Chocolate Cappuccino Ganache filling and then frosted with an Orange Cream cheese Butter Frosting laced with Grand Marnier . Okay, I admit, I went overboard on the ganache and made way to much, but the cake still held at least 4 lbs. of it! Even though I knew there were going to be loads of desserts at the reception, it was fun to bring something white and a bit "weddingish." And equally as fun to cut through the creamy white frosting to find the dark and delicious chocolate cake hiding underneath. My husband and children suffered the most during this cake making process. I was so ultra-focused, I had no room for idle chatter or friendly hellos. I had to get this cake right, no mess ups... it was a one shot deal. I love them dearly for putting up with a hot and bothered mama in the kitchen. ♥♥♥ love you guys! My mindful attitude had completely gone by the way side and my ability to "roll with it" was no where to be found. My family stayed away while I frantically whipped up those 7 lbs. of ganache and pounds of butter cream cheese frosting. Though I must add that my lovely daughter did serve as my official taster. She made sure the frosting was just right and the ganache perfectly palatable. Note: Hopper, my husband, has decided he will never be the cake driving chauffeur if I open up a bakery. I was the worst possible back seat driver during the cake transport to my sister's house. I sat in the back of the car, hovering over my cakes and shouting profanities around every corner. But... as you can see from the beautiful family photo below, we still love each other (well.... this was actually take the day before the cake driving crisis). He forgave me after he tasted the cake! 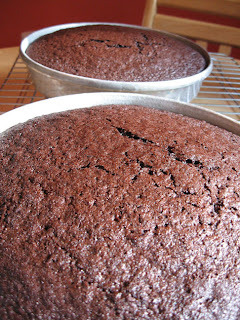 I will begin with my favorite chocolate cake recipe. I made this in 2 batches, first for the nine inch layers, then I cut the recipe in half for my 6" top layer. Make sure your oven is at the right temp, have good pans, butter your parchment, breathe deeply and dive into the zen of baking. Only make the cakes when you are ready and have time to put the cake together. 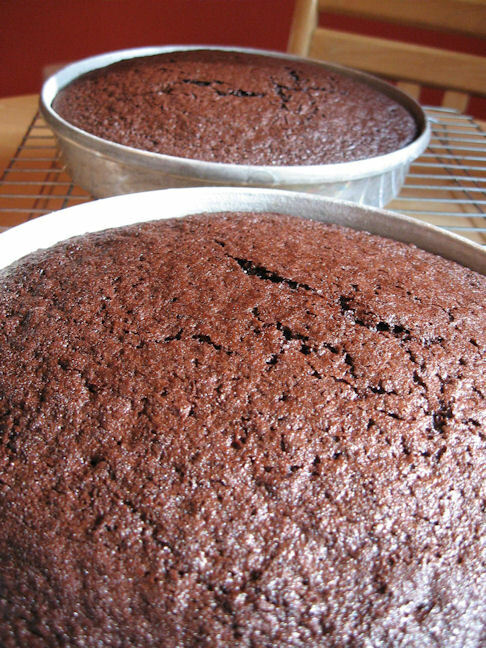 This recipe makes enough ganache for 2, 9" inch layer cakes. In a large bowl, empty chocolate. In large sauce pan, heat cream until simmering. Turn off heat, add espresso powder, whisk until dissolved. Pour hot cream mixture over chocolate, let rest a minute or two and then begin to whisk mixture into chocolate ganache submission. Let cool completely. Store in re fridge until ready to use. However, ganache is easiest to work with when it is soft. You can make this the day of and then cool it to a spreadable consistency. You can achieve this by putting into freezer and whisking every 5 minutes until it begins to firm up to your liking. It is hard to wait for your ganache to "warm up" without reheating the mixture. But.. it is nice to get the ganache out of the way as there are plenty of things to do when assembling a cake. Blend butter, cream cheese until very soft. Add powdered sugar. Keep blending for 2 more minutes. Add in vanilla, Gran Marnier, and orange zest. Add orange juice concentrate in 1 TBS additions, tasting along the way. Some of you may want more orange flavour or even powdered sugar to their frosting. Keep mixing until all lumps are out. Place into Tupperware and into fridge until ready to use. When frosting, the frosting must be almost mayo consistency. Keep this in mind so you can take it out several hours before you use it. 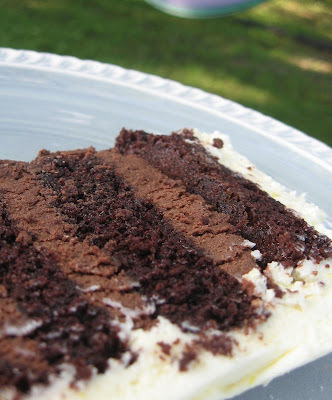 You will want this to brush this onto your cake layers before you spread them with ganache. It adds moisture to the cake and also adds orange flavor. This only takes a few minutes to make and a few to cool down, so you can make it when you are ready to put the cake together. In small sauce pan over low heat, mix until sugar is dissolved. Take off heat and let cool. Putting the cake together was the most difficult part of the process. It was definitely a learning experience. I was in unfamiliar territory with only a book to guide me. If you attempt to make this cake and get lost in the construction process, email me and I will call you on the phone to walk you through it. I wish I had someone help me! I am giving the abbreviated version below as I had an entire Wedding Cake Book to walk me through the nerve wracking process. 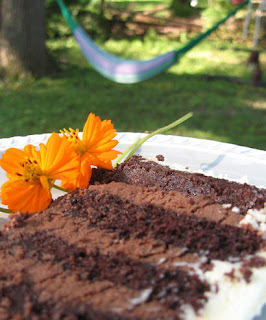 Take your cooled cake layers and slice them all lengthwise with a cake leveler or a long serrated knife. Brush off crumbs. Take your 9" cake board and place first cake layer upon it. Brush with orange moistening syrup. Layer on ganache. Repeat with 3 more layers. Apply your crumb coat of frosting, light layer. Put cake into fridge to firm up crumb coat. (about 2 hours) Repeat this with the 6" layers, put into fridge. Frost again, using your cake turn table to get a smooth application. When satisfied, place in fridge. You may have to frost a third time to cover up any crumbs. You will have frosting left over, you will use this to pipe around the edges when you put the cake on serving cake platter. When you are ready to put your cake together, please use the following online tutorial when stacking your layers http://www.youtube.com/watch?v=NvaCSW78ybc . You will need to use wooden dowels as this cake was heavy, and it would just sink right into the cake below it without the added support of the dowels. Add your final touches of frosting and your decoration. I chose seasonal orange flowers, Zinnias. I wanted orange to evoke the orange taste/flavor in the cake. You are such an amazing sister! Molly and family look so happy and it's so cute to see your excitement. That cake is ridiculous. I love love love it. That's the kind of cake I'd want too! Much happiness! Oh... look at the layers of filling. I sure wish I can have a few slices of this. This is all so incredibly impressive Megan ... that fantastic cake, which both looked and tasted fantastic (very often an unusual combination!!). I feel for you on that journey!!!! That just looks so absolutely gorgeous! It looks like a great day too, I love your pictures! I've actually made a chocolate orange cake with espresso in it before...it's a delicious combination! So I don't have to guess how good this is...I know! 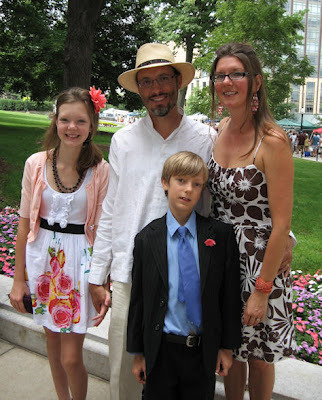 Beautiful job...and beautiful family. 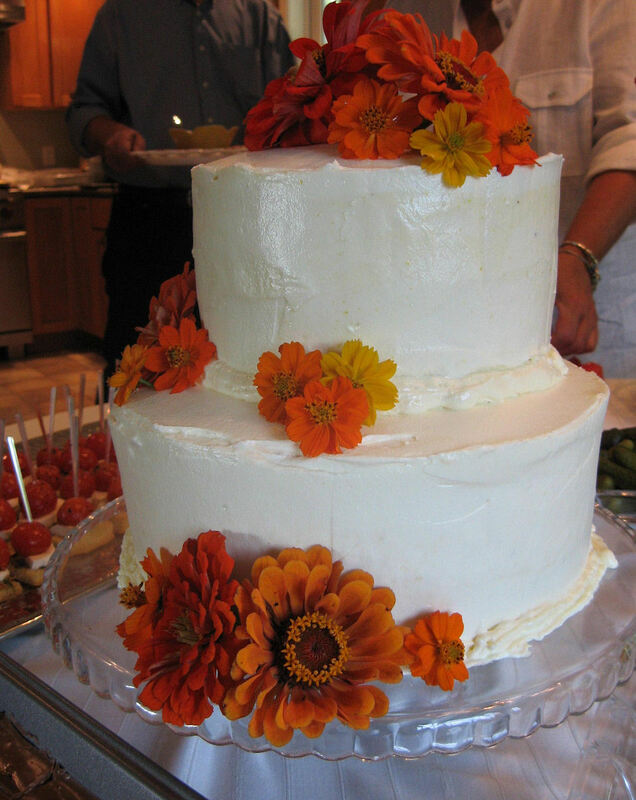 I'm always so jealous of someone who can bake this well - and a wedding cake to boot! Looks like a great day - and most importantly - a great cake! Anything chocolate intrigues me and such a great combo as well, chocolate and orange are a wonderful flavor combo, then the addition of the espresso, sounds and looks wonderful! The cake is gorgeous and I bet so very delicious! Lucky you with the sister and you have a great looking family! What a fun time! Wow...this is such a lovely post about family, love, romance, food, awesome bride and groom, adorable Lola! :D I can't help but smile :D You are an amazing sister to make such a lovely wedding cake! Well Done! What a wonderful event. Beautiful cake. It is absolutely beautiful! Great job! Congratulations to your sister, Molly! Love all your family pictures. The cake looks awesome! Wish I could have had a slice...yumm! Awww....so sweet! Congratulations to your sister and her groom. The cake looked gorgeous, and I can just imagine how it tasted, with the chocolate, orange and coffee flavors. YUM! What a nice sister you are! Congratulations to Molly. What a beautiful job you did. Everyone looks so happy, such a wonderful post. Oh...my...gosh. I want some! It looks SOOO yummy! Kudos to you for stretching yourself and venturing into major baking territory. Congratulations to Molly! She looks so beautiful! What a beautiful family! Not to mention a gorgeous cake. I am NO cake maker! My neighbor caters cakes and sometimes I help, but I'm better at the egg separating part than the putting it all together. You did a fantastic job!! Congratulations :) Everything looks absolutely gorgeous. If that's not love, then I don't know what is. 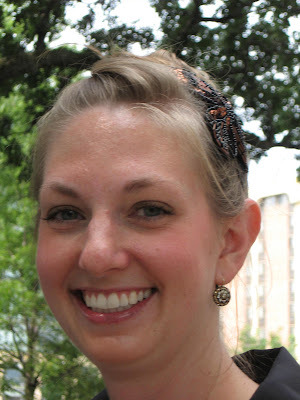 Congrats to the wedding girl! You guys are having a wonderful there. And the cake looks incredibly yummy. I wish I can have a eers, slice too. Yummm..... Have a nice day. I just adore chocolate and orange together! This is one darling cake. 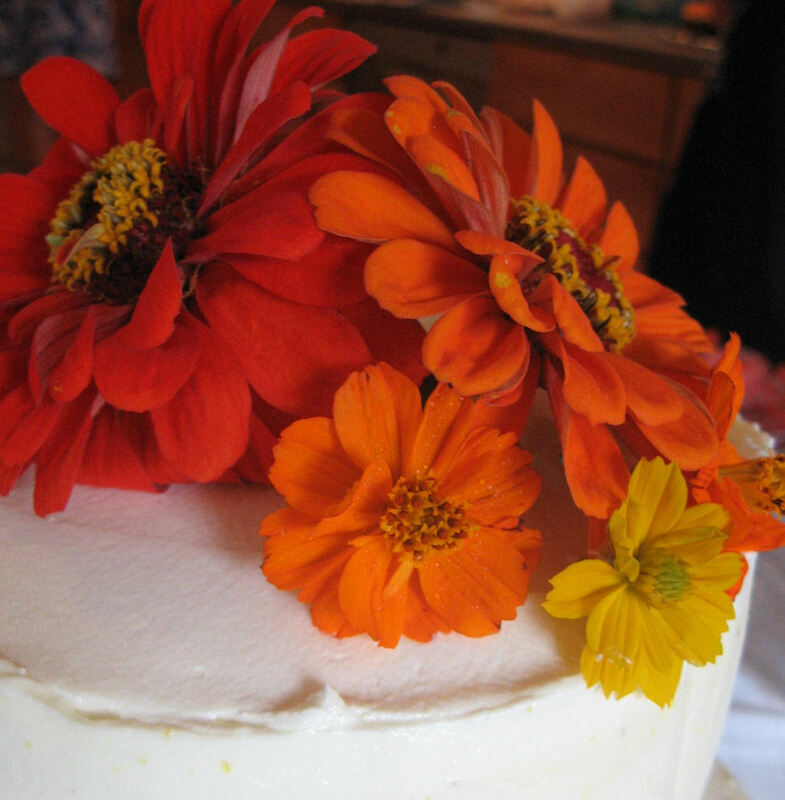 I love the colors of the daisies so much, they are just perfect for a summer wedding cake! I am introducing myself, just found your blog and love it! That wedding cake looks AMAZING! I used to live in Madison and miss it so much, especially the Willy St Co-op. Wow, what an amazing cake! Very impressive! Hey Megan, you guys all look so nice, and congratulations to your sister! You know, I never make layer cakes. Not just b/c I'm not eating refined sugars/flours, but it's just a bit scary. I can imagine assembling one for a wedding would be really freaky (smile). It looks wonderful though-love the combination of espresso and orange:)! I can only imagine how good that cake tasted!! It sounds delicious, all that wonderful chocolate cake, with the ganache and the butter cream! I bet your sister loved it! 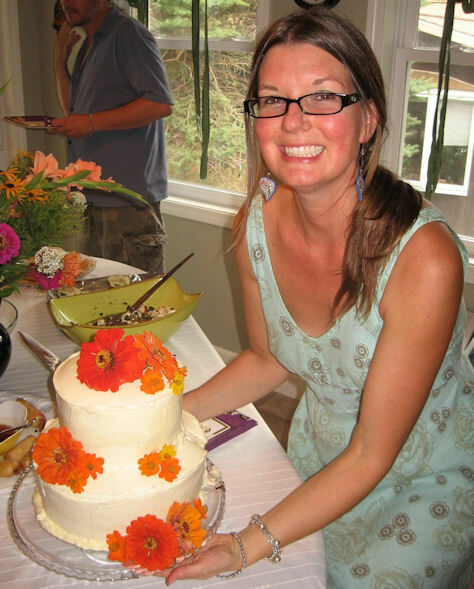 Megan, it's been a long time since I made a wedding cake. Used to enjoy cake decorating. Looks like you did a lovely job of it! Orange and chocolate are delicious together. I'm sure everyone loved it. Definitivamente eres una gran artista.